Over the last two weeks anti-racist demonstrations largely led by African American students have swept the country. Beginning at the University of Missouri at Columbia, African American football players and their supporters went on strike demanding that the campus administrators seriously address the problems of institutional racism. President Tim Wolfe was forced to resign after he refused to take the demands as an immediate concern to be acted upon, therefore prompting the coach and other faculty members to threaten further actions. The incident at U-M Columbia illustrated the real priorities of the higher educational system in the United States. Sports competition brings in tremendous revenues through government grant funding, advertising during media coverage of games as well as receipts collected from audiences. A shutdown of a football program during the season would also trigger fines from the National Collegiate Athletics Association (NCAA). African Americans through their skills are a main source of interests in several major college sports competitions. Later at Georgetown and Princeton, African Americans and other anti-racist forces demanded the changing of names of building dedicated in honor of slave owners and ideological racists. Woodrow Wilson, a former president of the U.S. during World War I, has left a legacy of open advocacy falsely claiming the inherent inferiority of African people. These anti-racist demonstrations have led to a backlash among the racists. 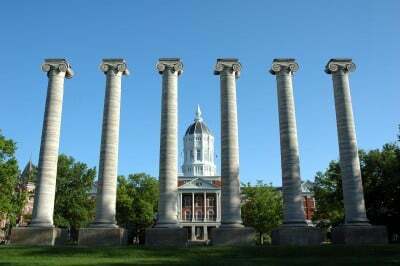 Threats were made online targeting students in Missouri who initiated the wave of protests. At the University of Illinois at Champaign-Urbana approximately 300 people gathered for a rally on November 18 sponsored by the Black Students for Revolution. The rally featured speakers, poets and hip-hop artists who expressed their solidarity with University of Missouri students in the struggle against racism within the higher education system. A social media page was created after the rally calling itself the Illinois White Student Union characterizing the Black Lives Matter movement as an act of “terrorism”. Some have anticipated that these reactionary white responses could lead to some racist violence in retaliation against the organizing efforts of the African American students. These actions have enhanced the protests and rebellions against police violence in Minneapolis, Milwaukee, Detroit, Lansing, etc. The efforts are not only attacking continued racist behaviors but their historical and ideological underpinnings. At Michigan State University in East Lansing, students blocked the entrance to a speech being delivered by former U.S. President Bill Clinton. With the campaign of Hillary Clinton aimed at capturing the Democratic Party nomination for president, it is important to remind the country of the legacy of the former administration in regard to mass incarceration, globalization, imperialist military interventions, and police brutality. People in Minneapolis took to the streets for days after the police shot to death Jamar Clark while he was down on the ground and handcuffed, according to one key witness. African American youth and their allies blocked streets, held demonstrations outside the police station and fought law-enforcement officers who sought to remove them from the areas they were occupying. In Detroit a serial abusive white cop was convicted in the brutal beating of UAW worker Floyd Dent after mass protests resulted in his firing earlier in the year. Hundreds of people had demonstrated at the police headquarters in Inkster, a majority African American suburb near Detroit. The policeman who was fired earlier, and subsequently put on trial for abuse, has a long history of accusations of misconduct while he served as a cop in Detroit many years ago. This conviction of William Melendez is a rare occurrence in the U.S. where law-enforcement personnel routinely get away with abuse and murder of African Americans and Latinos. On November 19, militant City of Detroit retirees blocked the entrance to a gala celebration honoring key players in the bankruptcy at the Detroit Institute of Arts (DIA). Detroit is the largest per capita African American populated major municipality in the U.S. and the imposed emergency management, bankruptcy–and later first white corporate-oriented mayor in forty years–is seen by many as a blatant denial of due process and the right to self-determination. The organizers of the DIA demonstration have formed a new organization called the Detroit Active Retirees and Employees Association (DAREA). Bill Davis, the president of DAREA, said that the pension and healthcare benefits of the municipal retirees were stolen, leading to huge cuts in their monthly checks and the cancellation of their health insurance benefits. These actions taking place around the U.S. illustrates a rising intolerance of racism and class oppression. Despite two terms in office served by President Barack Obama, the actual conditions of African Americans and other oppressed groups have worsened. The Obama administration has maintained the position that it cannot directly intervene in these struggles. Several Department of Justice investigations have been launched to determine if federal laws have been violated in a rash of police killings of African Americans such as in Ferguson, Baltimore, New York City, Milwaukee, Chicago, Detroit, etc. Yet in the aftermath of these investigations, many of which have been called for by community organizations, no indictments have been handed down against the police or other local and state governmental agencies which continue to violate the fundamental civil and human rights of tens of millions of people.